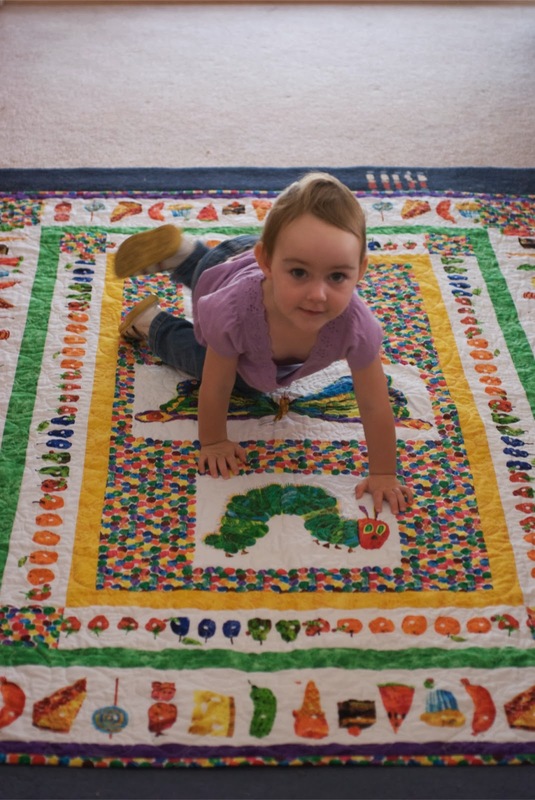 When I bought the Very Hungry Caterpillar quilt kit (about 8 months ago), Olivia took the photo from the kit, climbed up on the couch and sat gazing at it lovingly. So I bought more fabric for a quilt for her - but then I had to buy more after passing the first quilt on to another child. She loved the quilts so much that I had to hide them whenever she came around. 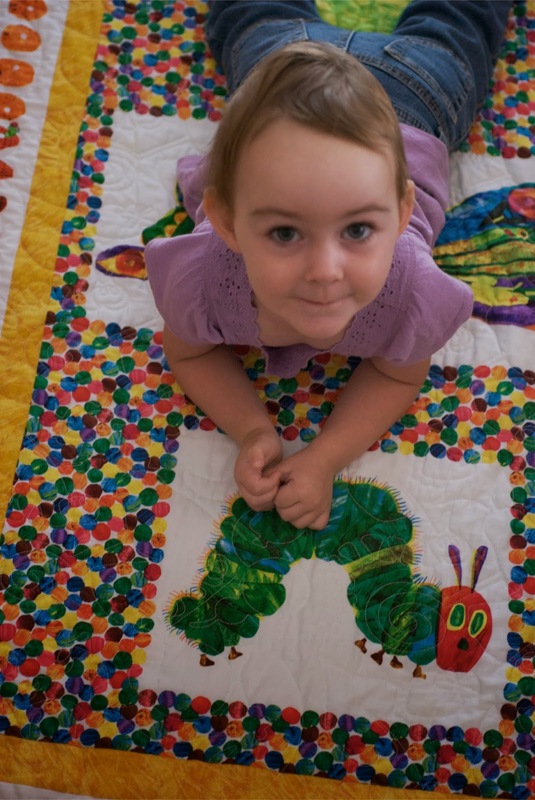 Finally, on her second birthday, she became the proud owner of her very own Very Hungry Caterpillar Quilt - and here she is enjoying it. And I'm not making any more! There was no doubt that it would be well received and the photo just goes to prove it.